Arduboy is a miniature game system the size of a credit card. It comes installed with a classic 8-bit game and can be reprogrammed from a library of open source games available online. Arduboy is open source so you can learn to code and create your own games or simply play other peoples creations. Games for the Arduboy are made by users! Anyone can create and publish games with a friendly and active community of developers online. 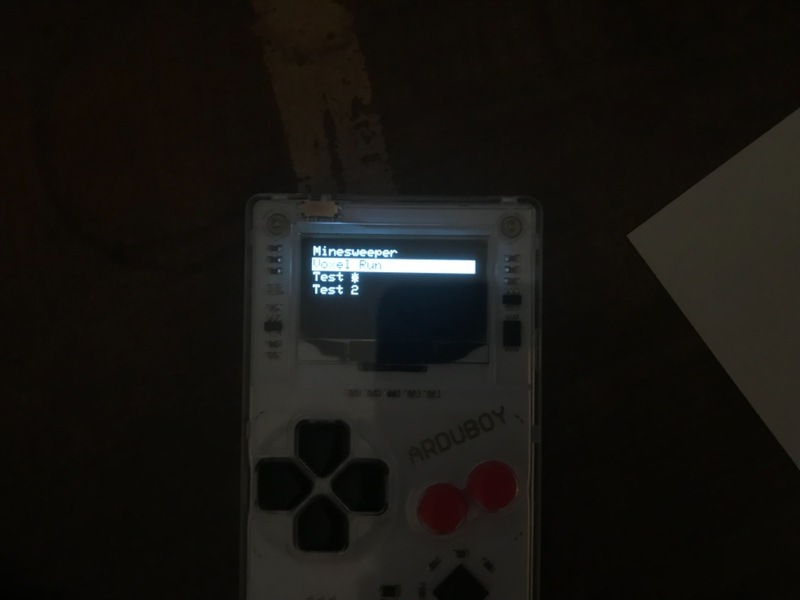 Every game published on Arduboy Arcade is free, open source and available to be edited. There are now approximately 100+ games, tutorials and other fun codes online on the community site, and many more are added every week. Using the Arduboy for the first time is easy! All you need is a PC with an internet connection and a Micro-USB Cable! Follow the steps in the Quick Start Guide to get started with your Arduboy! A polycarbonate front, ultra thin circuit board, and stamped metal back is the ultimate combination to enjoy retro gaming. A rechargeable lithium polymer battery provides over 8 hours of battery life, and the same data cable you use to charge can be used to upload new games! I bought this so I could learn how to build small games without much experience. The product is small but very durable and it's so easy to get set up and start writing code. Cool Components shipped it very fast & packed it well. Great company to buy from. I initially thought they would make cool Christmas presents for a couple of techie friends - but now I'm tempted to keep one of them! It's just so cool! You'll need your reading glasses if you're as wrinkly as me - but the display is very sharp and the picture quality is great. I'm trying to convince myself that I need to keep one to re-write a couple of games I loved when I was not so wrinkly - mainly 3D Monster Maze on the ZX81 - but I know in practice, this time next year, I'll be sitting playing Tetris! Too many other cool projects to work on. I bought this so I could make some small games for it, the build quality is very good and the battery lasts ages. Great, clear screen (you might need your reading glasses though). Lots of simple but enjoyable games to play and the great thing is you can examine the code and make modifications. The website has some good tutorials on how to code games. It's amazing what can be done with very little memory.